I think I´m still about bit confused as to whether it´s Winter, Spring or Summer here in Andalucía. The calendar says May, so I´m thinking Spring. Last week we had torrential rain and had to light the fire again in the evening. Yesterday I was sunbathing and gardening and the temperatures reached the high 20´s. No wonder I´m feeling a little confused. Soup always fits the bill, especially for a light supper. Warming when you want it to be, chilled when you need cooling down and always very comforting. We still have the last of our Spring Onions in the garden which have grown to enormous proportions. Big Man is going to pull them up as the last few are pretty tough, but the centres are still incredibly tender, so I thought I´d save a few before they ended up on the compost heap and turn them into a soup. A quick nip outside the back door led me to my beautiful mint which has really taken off again after its winter rest and a trip to the freezer for some frozen peas and I was almost set. Now, Big Man claims not to like peas, so when I first made this soup for him I told a porky and said that it was made with a mixture of broad beans and peas. Once he had declared it “delicious, you must make this again” I confessed and it´s become a bit of a favourite. Our broad beans are now ready to eat, so perhaps next time I´ll make the “true” version and see which one we prefer. The serving I made fed two accompanied with plenty of crusty bread and is equally good served piping hot or icy cold. This is quick and also very low fat (well, no fat actually), so also good if you´re watching the waistline. Which I really should be doing, but hey, back to the cooking. I had a ready cooked potato left over from some potato salad – I cook them in their skins and then peel them and tend to keep these in the fridge as a staple. 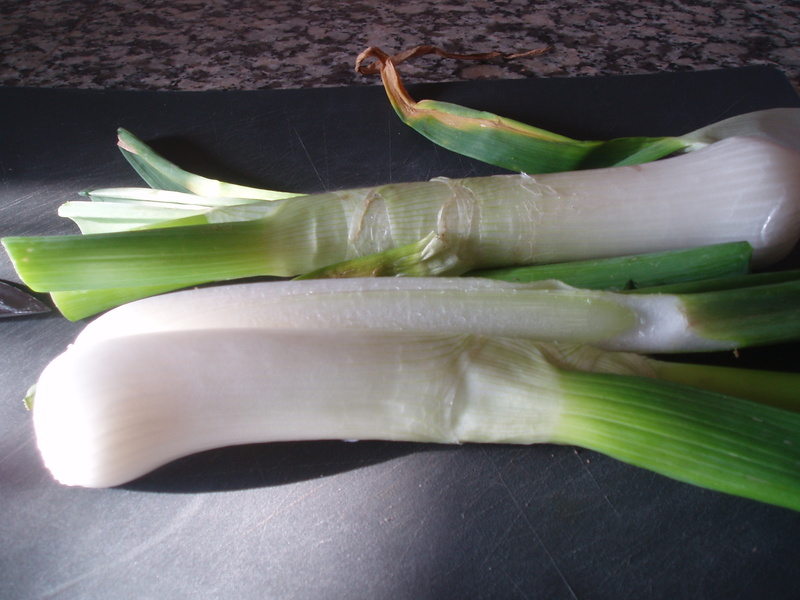 If you don´t have a ready cooked one, peel, cube, boil until tender and then drain. Put all your ingredients into a saucepan, season and cover with twice the volume of water (or vegetable stock) and bring to the boil. Cook for a few minutes until the peas are done and then leave for another few minutes to cool down slightly. Check and adjust your seasoning. Then all you need to do is to blitz it with a hand blender and it´s ready to serve. Quick, delicious and easy! That sounds wonderful. I’m always looking for ways to use up my mint. …and I´ll be trying out your Mojito recipe one evening soon. Hic! Can’t wait to hear if you like it! Do hope you enjoy it. 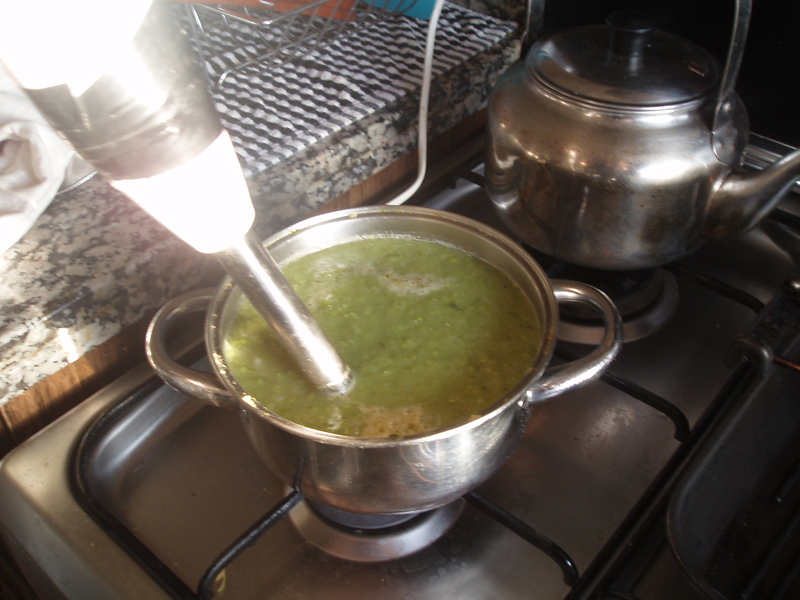 In fact, I´m just off to make something with some of the Broad Beans I picked this afternoon from our vegetable patch, so perhaps I´ll do this soup. I took a look at your blog – looks so interesting, will keep an eye on it! So good to hear from you, hope you continue to enjoy what you read. This looks lovely and simple and I love that it celebrates fresh seasonal produce. Your story is wonderful and your blog content is very unique and diverse and I have enjoyed reading it. Wow! Thank you so very much for your kind words. Am so pleased you are enjoying what you´ve seen – I certainly loved your scone recipe I saw earlier. Do visit again soon! This sounds right up my street and I’m getting some fresh peas and broad beans in my veg box tomorrrow. It’s the first fresh peas of the season for me so I’m quite excited! 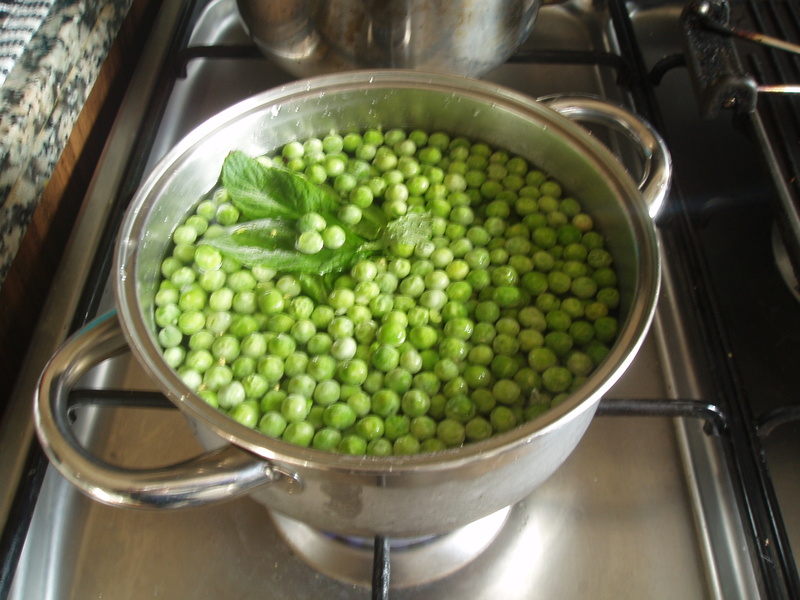 I feel alot of pea and habas recipes coming up, yum!! This was a lovely soup, really fresh tasting, think you´d enjoy it (and make it look way more glamorous too)!